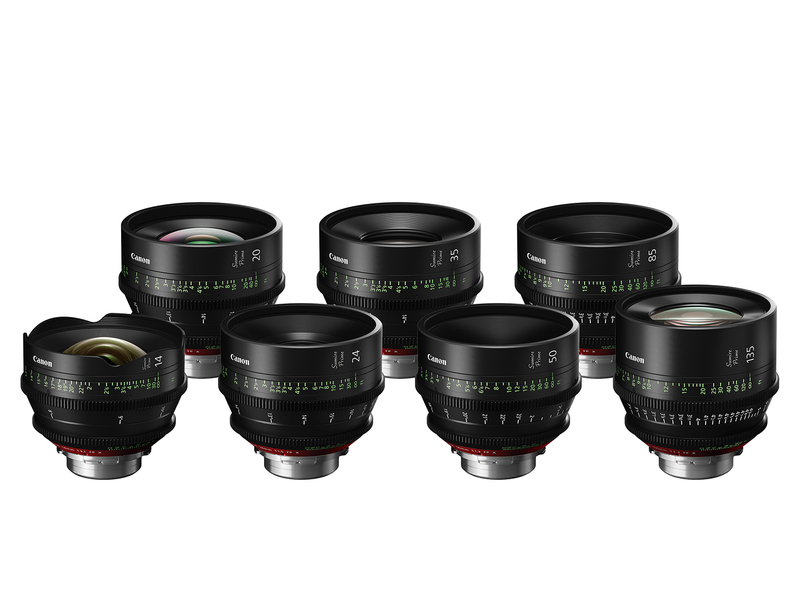 Ahead of NAB Show 2019, Canon has officially announced the Sumire Prime collection, a set of seven Canon cinema lenses that use the PL-mount. All these lenses in the collection feature an 11-bladed iris and feature the same minimized focus breathing as Canon’s EF-mount cinema prime lenses. All these lenses can be pre-order online at B&H Photo Video/Adorama. 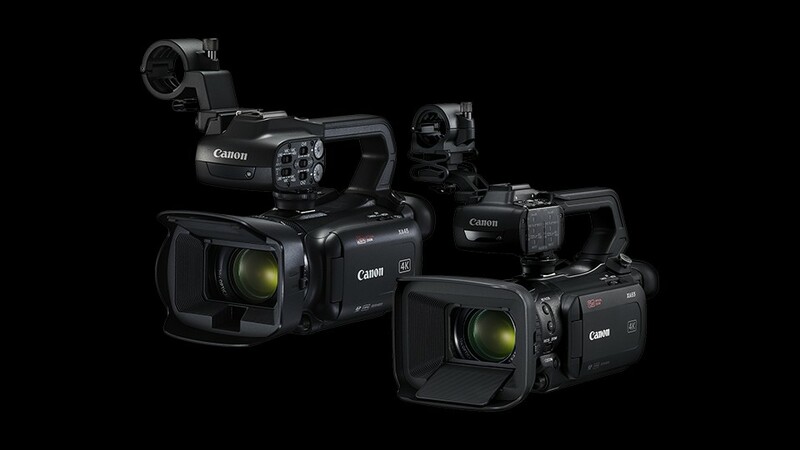 Canon XA40 & XA45 & XA50 & XA55 & VIXIA HF G60 4K Camcorders Announced ! 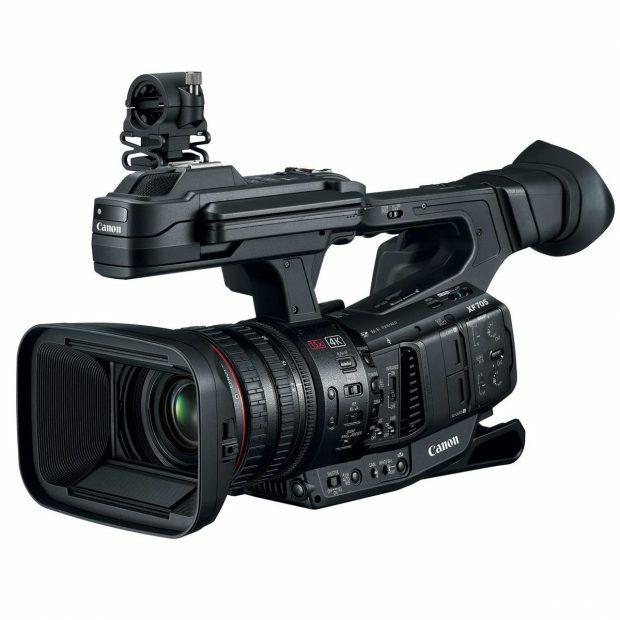 Ahead of NAB Show 2019, Canon now officially announced previous leaked five new 4K camcorders today: Canon XA40, Canon XA45, Canon XA50, Canon XA55, Canon VIXIA HF G60. Author adminPosted on April 2, 2019 April 2, 2019 Categories CamcorderTags Canon VIXIA HF G60 4K Camcorder, Canon XA40 4K Camcorder, Canon XA45 4K Camcorder, Canon XA50 4K Camcorder, Canon XA55 4K Camcorder, NAB Show 2019Leave a comment on Canon XA40 & XA45 & XA50 & XA55 & VIXIA HF G60 4K Camcorders Announced ! Canon VIXIA HF G60 4K Camcorder Leaked Images, to be Announced Soon ! Here are first leaked images of upcoming Canon VIXIA HF G60 4K camcorder to be announced soon ahead of NAB Show 2019. 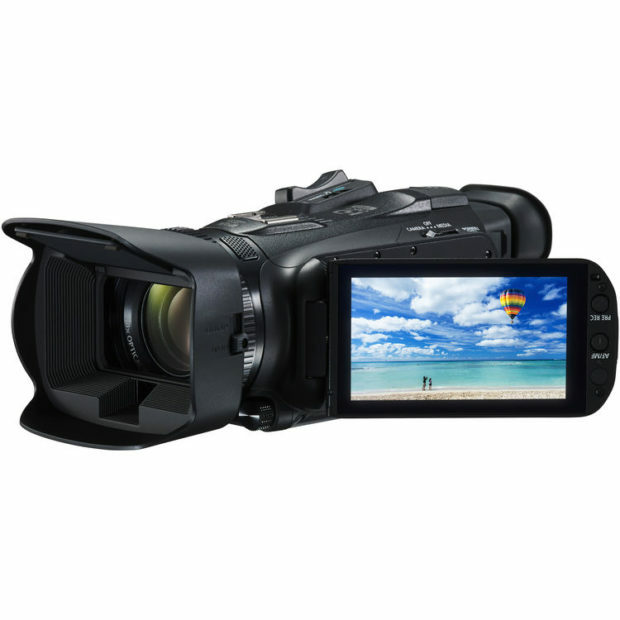 According to NC, Canon VIXIA HF G60 will be the successor of Canon VIXIA GX10. 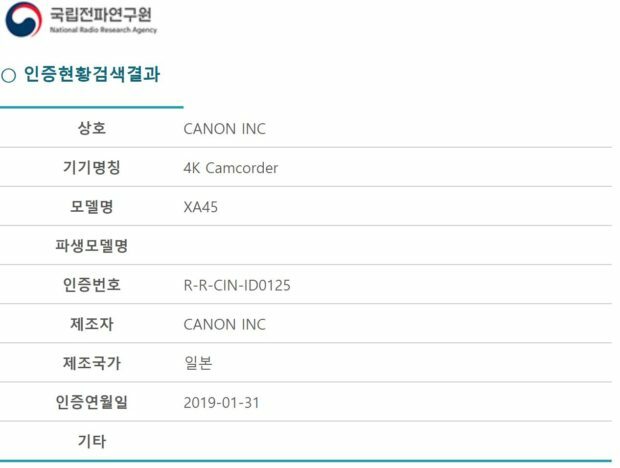 Author adminPosted on April 2, 2019 April 2, 2019 Categories CamcorderTags Canon VIXIA HF G60 4K Camcorder, Image, Leak, NAB Show 2019Leave a comment on Canon VIXIA HF G60 4K Camcorder Leaked Images, to be Announced Soon ! 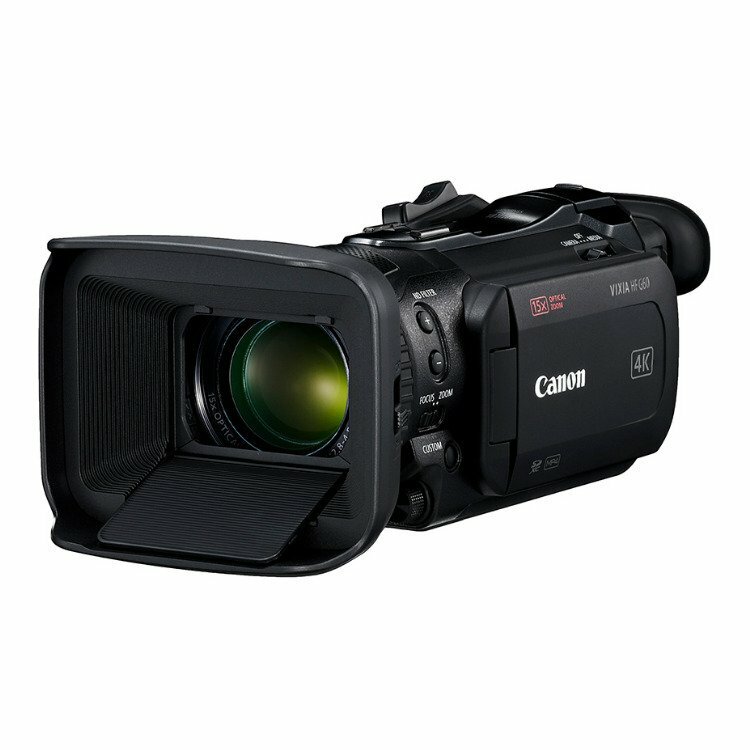 Canon XA40 & XA45 4K Camcorders Registered, Coming Soon ! Canon has just registered two new 4K video camcorders in South Korea certification bodies. 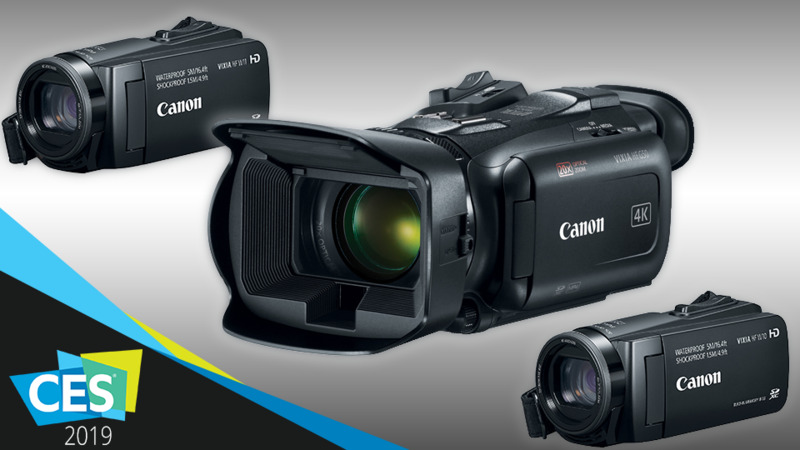 These two new camcorders are Canon XA40 and Canon XA45. Seems that they will replace current XA11 and XA15. Author adminPosted on January 31, 2019 Categories CamcorderTags 4K Video, Canon XA40 4K Camcorder, Canon XA45 4K CamcorderLeave a comment on Canon XA40 & XA45 4K Camcorders Registered, Coming Soon ! Ahead of CES 2019, Canon today has officially announced three new camcorders: VIXIA HF G50 UHD 4K Camcorder (Amazon/B&H Photo Video/Adorama), VIXIA HF W10 Waterproof Camcorder, VIXIA HF W11 Waterproof Camcorder. Update: HF G50 already annouced, pre-order at Amazon/B&H Photo Video/Adorama. Canon will announce a new camcorder VIXIA HF G50 at upcoming CES 2019 in next several days. 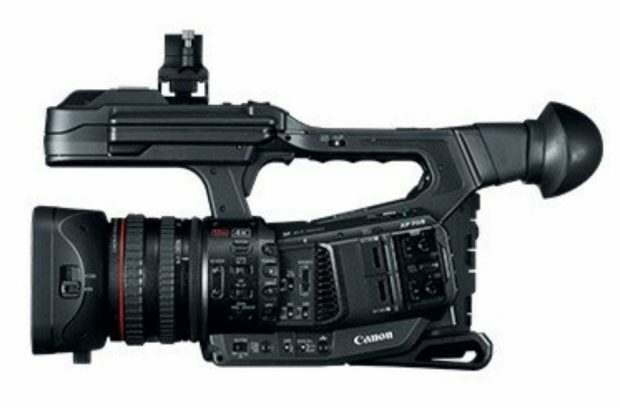 Canon XF705 4K Professional Camcorder Officially Announced, Price $6,999 ! Canon has officially announced the new XF705 (Adorama/B&H) 4K UHD 10-bit Professional Camcorder. It offers an outstanding combination of 4K UHD image quality, features and functionality in a compact portable design ideally suited for news gathering, outdoor events, sports and documentary production. Author adminPosted on September 12, 2018 September 12, 2018 Categories CamcorderTags Canon XF705 Professional Camcorder, IBC 2018, Pre-orderLeave a comment on Canon XF705 4K Professional Camcorder Officially Announced, Price $6,999 ! 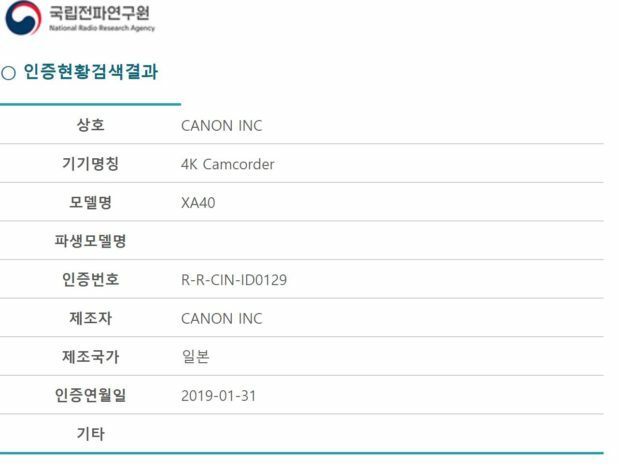 Canon XF705 Professional Camcorder Leaked, to be Announced Soon ! Update: Canon XF705 now officially Announced, you can pre-order at Adorama.com/B&H Photo Video. Canon will soon announced a new professional camcorder at IBC 2018 later this week. 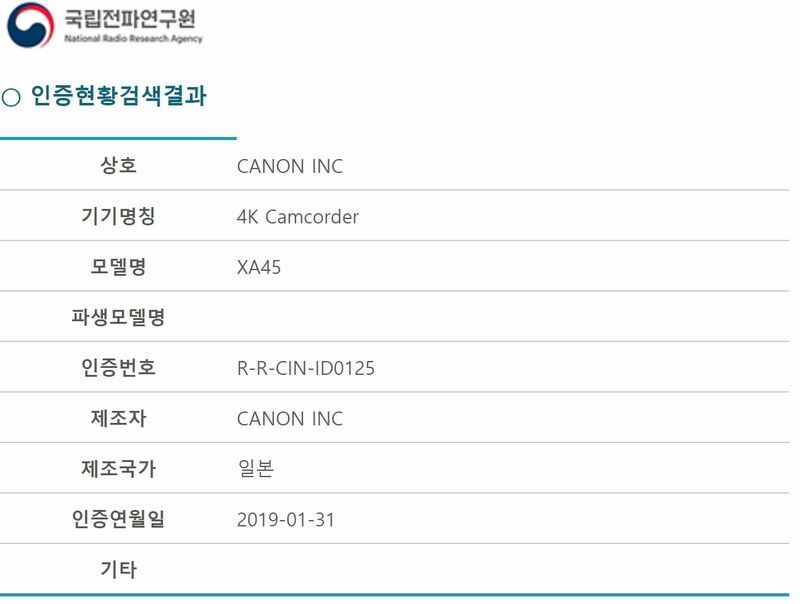 This new camcorder will be named Canon XF705, first leaked image of this camera is already available online, see above. Author adminPosted on September 11, 2018 September 12, 2018 Categories CamcorderTags Canon XF705 Professional Camcorder, IBC 2018, Image, LeakLeave a comment on Canon XF705 Professional Camcorder Leaked, to be Announced Soon ! Ahead of Photokina 2018, Canon is rumored to have a product announcement in early September. Though which product will be announced is unknown yet. According to CanonFF, new Canon full frame mirrorless camera will be officially announced in early September.